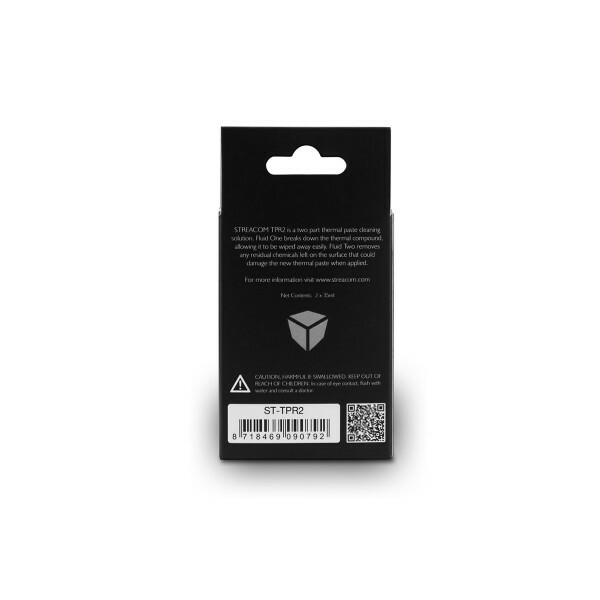 TPR2 - THERMAL PASTE REMOVER. Thermal paste is easy to apply, but not so easy to remove. 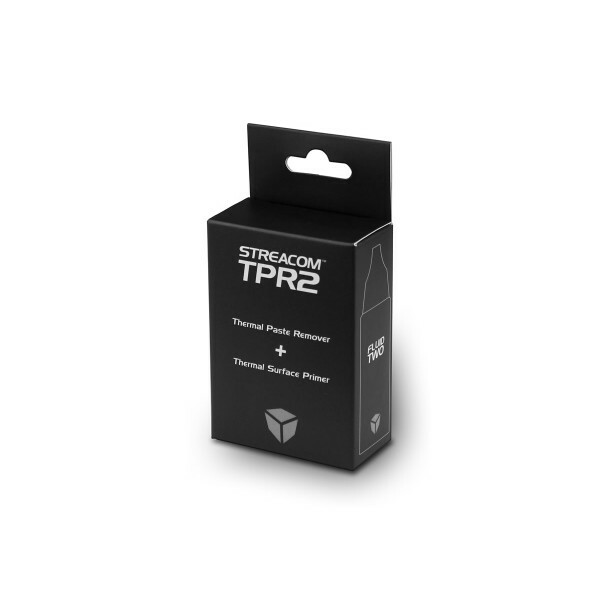 Whether you made a total mess fitting your heatpipes or just wanted to do some upgrades, take the hassle out of removing thermal paste with Streacom TPR2. Our two part cleaning solution makes it easy to remove thermal paste and restore the surface to its original box fresh gleam. Fluid one breaks down the thermal paste allowing it to be easily wiped away. Fluid two further removes any residual contaminants, leaving the surface ready for a fresh application of thermal paste.